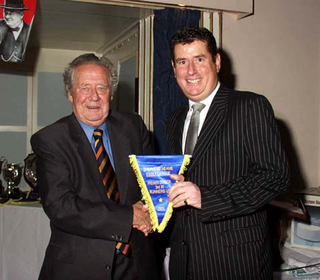 Rob Coote receiving the 3rd XI Premiership Runners-up pennant from Trevor Bailey. 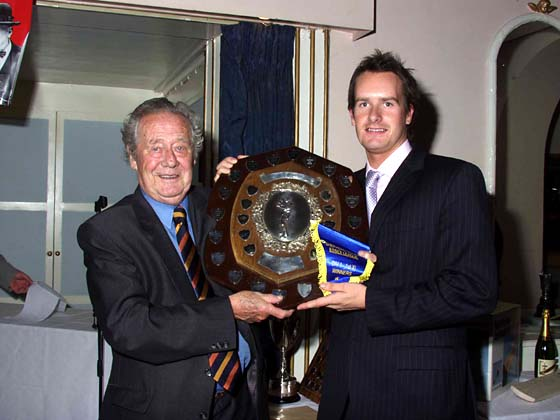 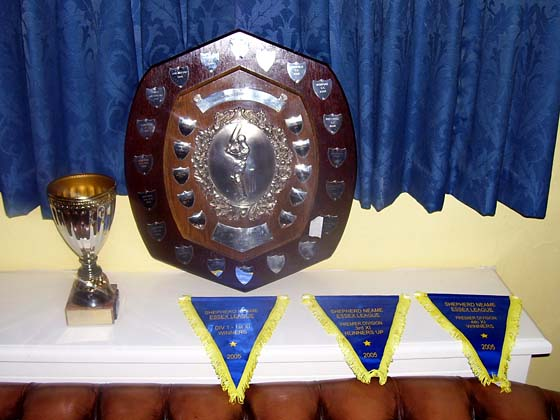 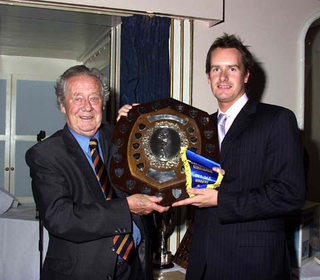 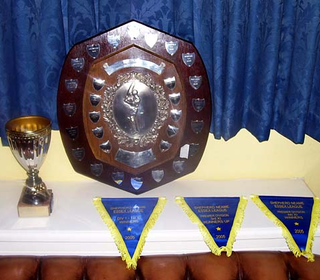 Jon Walford receiving the 1st XI Division One Winners Shield from Trevor Bailey. 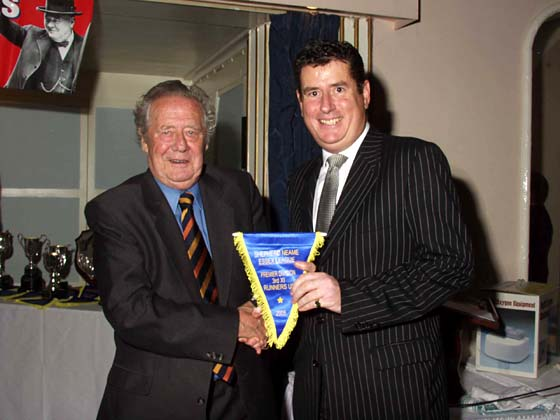 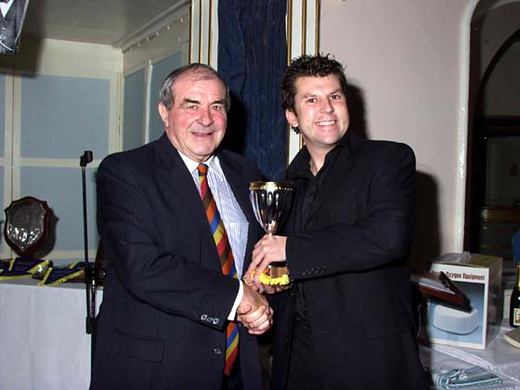 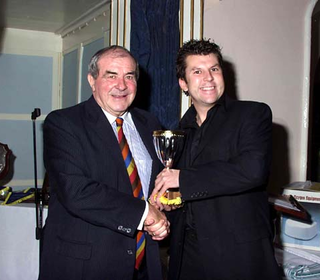 Neil Webb receiving the 4th XI Premiership Winners Cup from Fred Trueman.